Thanks for your links last week! I was very pleasantly surprised that everyone had been so busy during that first week back to work and/or routine. We'd love you to keep sharing your toddler (and little people) approved recipes, reviews, days out, books, lists, things to do. Anything your little ones have loved we want to see it! I noticed that we had a few new joiners last week, thanks so much for linking, it's great to see you and hope we'll see you more in future. For my showcase this week, I've chosen a great review of a Frozen cookie mix and Cotton reel painting. 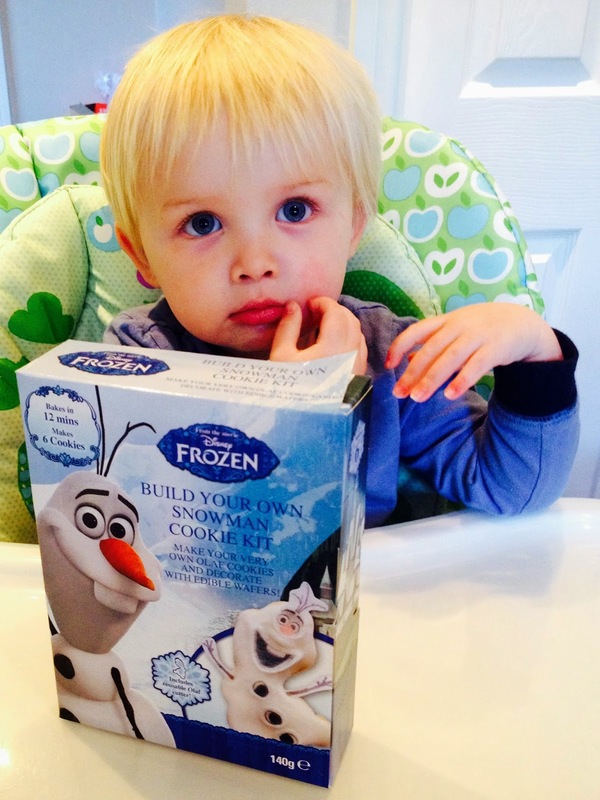 I loved the review of these fab Frozen cookies from Lamb & Bear I think these looked really cute and I love the fact that the cutter is included in the pack, ingenious, I'm definitely on the look out for these now! 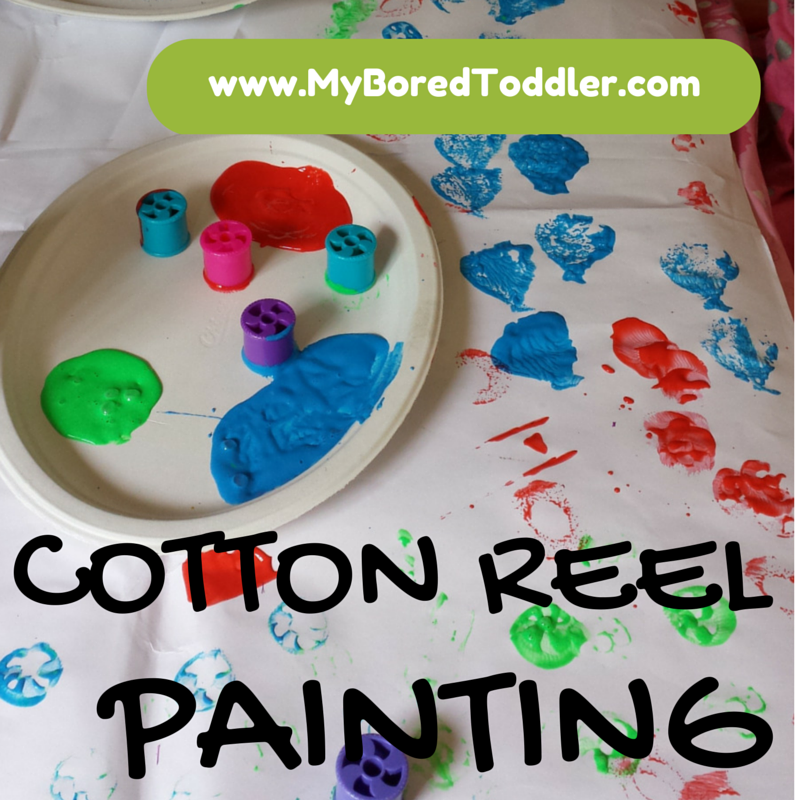 This post from My Bored Toddler really grabbed my attention, I always wanted some cotton reels for T when he was younger, I'm pretty sure that his cousin J has some and we have a sleepover soon so I think I might do this with them. 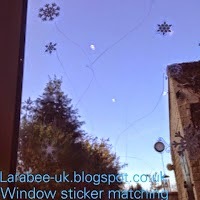 For my link this week, I have a window sticker matching activity. We would absolutely love it if you would join us, linking will open every Tuesday through to Thursdays and give us a good few days to see what your little ones have approved! We will share your posts on Twitter (make sure you follow me Leandra @larabeeuk and Becky @3princess_1dude ) and every week we will each pick our fave two for a #ToddlerAprrovedTuesday Showcase! 1. Link as many posts as you like (old or new)! Remember to paste the #ToddlerApprovedTuesday badge on each post you would like to link up (code in my sidebar – paste it into the HTML option of your blogging platform). 2. Pop by and comment on a couple of other's link up's...its nice to share the love! 3. OPTIONAL: Share your post and the linky party (using the hashtag #ToddlerApprovedTuesday) on your social media, Becky and I will retweet all your posts via Twitter (if you make sure you mention us in your tweets @3princess_1dude/@larabeeuk) and also share on our #ToddlerApprovedTuesday Pinterest board.